As the intellectual center of campus, the Christopher Center for Library and Information Resources was designed to bring all campus information services to a single location while best serving the needs of students. The result is a welcoming, state-of-the-art learning environment that also serves as an important campus social center. The 105,000-square foot, four story the Christopher Center was designed by the architectural firm of Esherick, Homsey, Dodge and Davis. The building’s thoughtful design allows services to evolve in response to the changing information environment and student needs. If you would like to see how our Automated Storage and Retrieval System (ASRS) works, we have an online movie (3 minutes 16 seconds) which shows the ASRS in motion. Windows Media Player (or other similar software) is required to view this movie. To view the movie, click here. 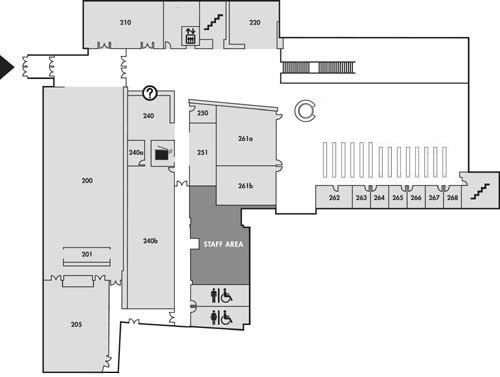 All floorplans: © 2003 Carol Naughton + Associates, Inc. 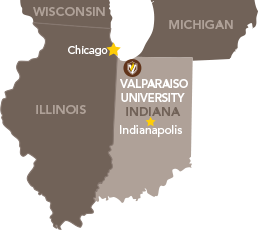 Located in the heart of campus next to the Valparaiso University Chapel, the main entrance to the Christopher Center opens onto Campus Drive (second floor) with a first floor entrance available on the east (Chapel) side of the building. 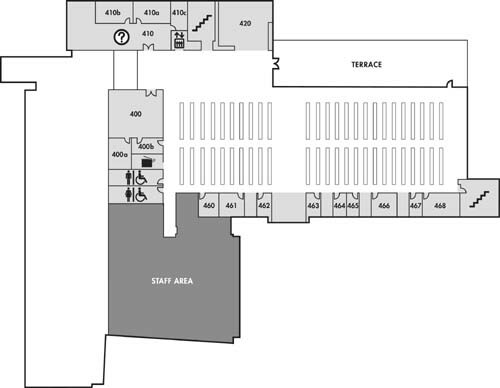 Check the campus map for further details. 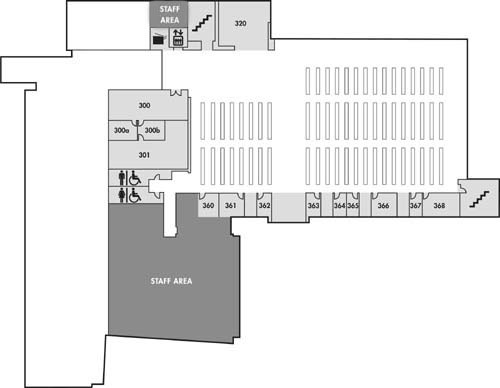 Book drops are available next to the first floor entrance (Chapel side), the staff entrance (area west of the building), and inside at both the Circulation Desk (second floor) and Media/IT Help Desk (first floor). 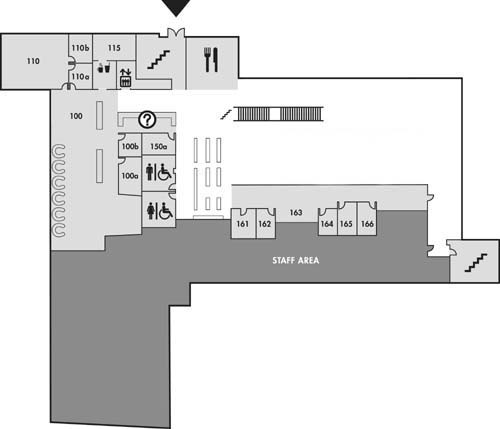 Parking is available for staff and visitors in Lot 20 that lies to the south of the building. Entrance to the parking area is through the campus' main entrance from Highway 30. Handicapped parking is available in this parking lot as well as in front of the building just across the street. Student commuter parking is available near the Christopher Center in Lots (15 & 16). After checking the resources listed above, call the library at 464-5500 if you still have questions.